The Cressi Alpha Ultra Dry Snorkel is one of our newest here at Dive Warehouse. It is an ultra dry which means that no water will enter the snorkel during use. There is a dry protection technology valve on top of the tube which prevent water from entering the snorkel. This works by the small valve closing when water hits it so ever after duck diving under the water, when you re surface, there will be no water in your snorkel. This feature is highly sort after as it can make your snorkeling of diving experience so much more enjoyable. 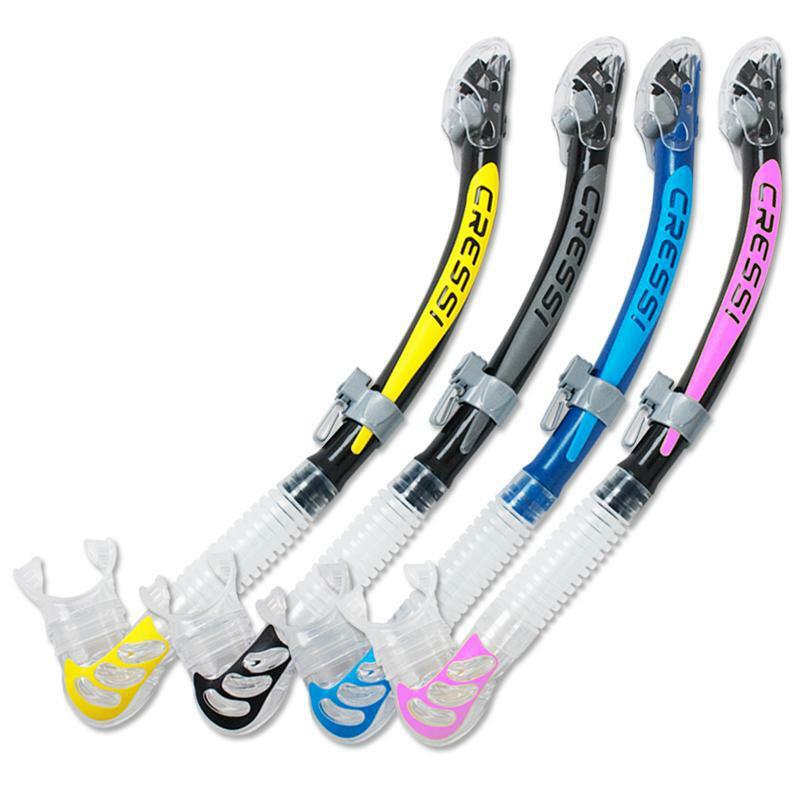 The Cressi Alpha ultra dry snorkel is designed for diving so it has a corrugated section to give room for a regulator to be in your mouth, however it can also be used for snorkeling. There is a purge valve under the mouthpiece which is where the air comes out when you exhale. If you take the snorkel out of your mount, the put it back in and there is water in the tube, you can use one breathe to empty the water through the purge valve. A snorkel is an important part of diving and snorkeling so having a good quality one is extremely important. The Cressi Alpha is available in great colors.